The IoT Marketplace is a one-stop click-and-buy-store, offering complete Internet of Things solutions ready to deploy smart applications including hardware, software and cloud connection. Today, at the Mobile World Congress, Libelium has launched The IoT Marketplace, a one-stop click-and-buy online store that offers fully integrated solutions from hardware sensors to cloud applications to speed up IoT adoption. The IoT Marketplace features out-of-the-box IoT kits containing programmed sensor devices connected to specific Cloud applications for use in pilots or proof of concept projects in the minimum time to market. Element Blue, ESRI, IBM, Indra, IoTSens, Microsoft, Telefónica, ThingPlus and Thingworx are the first partners to join The IoT Marketplace offering Cloud connection services with Libelium gateway and sensor devices. The first 15 IoT kits provide solutions for Smart Cities, Smart Agriculture, Smart Environment, Smart Water or Smart Parking and classify as Solution Kits, Application Development Kits and Vertical Kits. New IoT kits and applications will be added along 2016 with Libelium Cloud Partners network support. 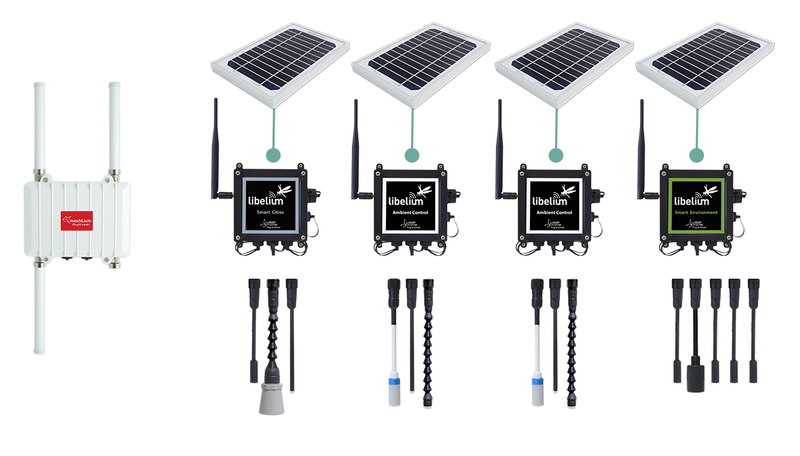 At the Mobile World Congress, Libelium is showing some of these kits featuring solutions in Smart Environment and Smart Cities together with ThingPlus, Thingworx, SmartISCity and Envirosuite. “The IoT Marketplace offers fully integrated solutions trying to prevent customers from getting lost while designing their IoT projects”, explains Alicia Asín, Libelium CEO. “The IoT Marketplace allows companies to try solutions and visualize how to scale them in a cost effective way”. Until now, choosing the right hardware and the cloud components was a complex decision making process involving many stakeholders and extending the sales cycle. Accordingly to the IoT Frustration Survey, companies recognize that the hype and confusion, the implementation difficulties and the high cost of deployments are the main and biggest frustrations with the IoT. “The Internet of Things generates a lot of hype but the lack of integrated solutions from hardware to application level is a barrier for fast adoption. The IoT Marketplace is removing this barrier”, points out Asín. “IoT projects are challenging to define. Having something specific like a kit to start discussing with your customers avoids the effect of facing a blank page”, says Julio Lerena, Alliances Manager at ESRI. “Besides, our potential customers can test our software platform for a specific application fully integrated with sensors”, adds Lerena. Meet with us at the Mobile World Congress in our own booth. Find us in the IoT Pavilion (hall 8.0) Stand 8.0C11. Discover everything about The IoT Marketplace and our new IoT Kits.